Snapchat is launching a sponsored AR Bitmoji with McDonald's. When it comes to Snapchat users messing around with their bitmojis, McDonald’s is hoping they’re loving it. McDonald and Snap have partnered for the platform’s first sponsored bitmoji. 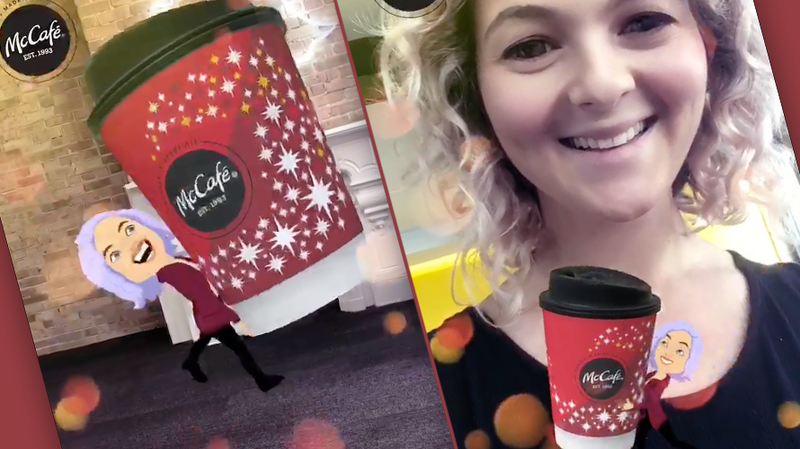 The augmented reality feature, which rolls out today, aims to promote its McCafe products and lets users have their 3D Bitmoji steal a coffee cup from them. In an almost elfish manner, the character mischievously runs around the cup before running off the screen—McCafe and all. The feature was created with We Are Unlimited—a Chicago-based agency that runs McDonald’s social, digital, retail and data marketing in the U.S.—along with Resolution Media and OMD. According to We Are Unlimited chief creative officer Toygar Bazarkaya, the campaign is part of McDonald’s plan to get more involved with holiday marketing than in the past. While it’s the first time Snapchat has sold a sponsored Bitmoji product to a brand, its the latest in a series of branded AR world lenses sold to advertisers this fall. In September, it partnered with Budweiser to create an AR beer seller. At the same time, Warner Brothers became the first companies to buy a sponsored AR flying car within Snapchat for BladeRunner 2049. To create the Bitmoji, Bazarkaya said the agency spent the past four weeks creating something alongside Snapchat employees embedded in the office. 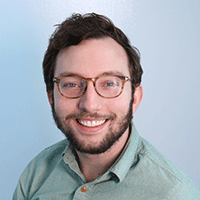 And while the cost of the feature was not disclosed, he said the agency is less focused on metrics for the experiment than they are for other types of marketing. Bitmojis do seem to be a boon for more users trying out augmented reality. According to its most recent quarterly earnings results, the integration of 3D Bitmojis have increased the use of world lenses by 20 percent.